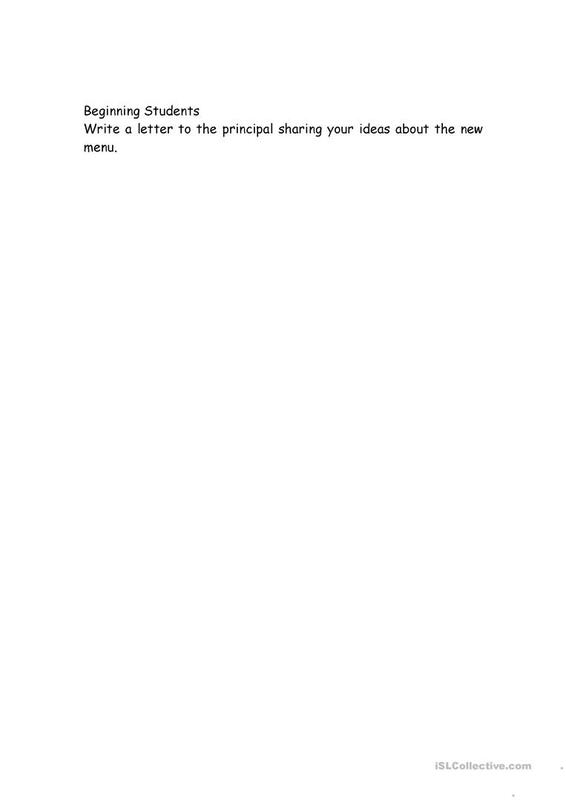 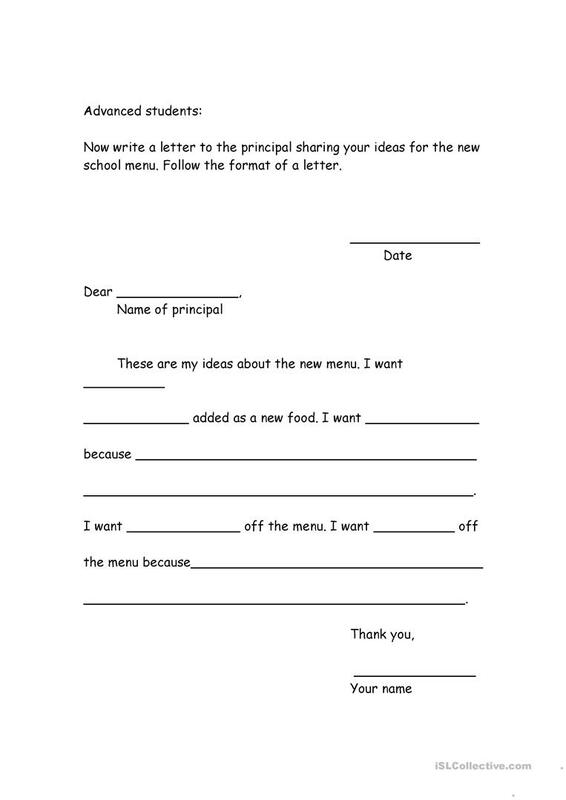 Students write a letter to the principal sharing their ideas on what food should be on the new school menu. They also use the questions to answer in complete sentences. 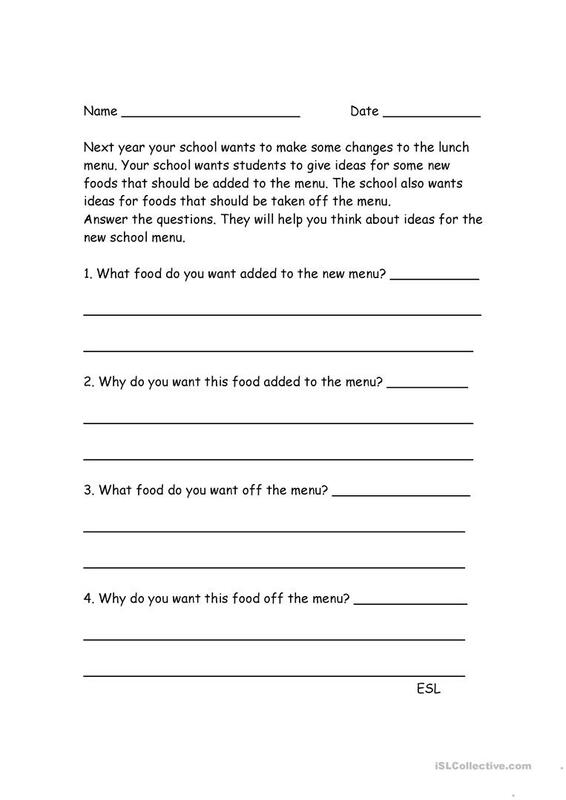 The above downloadable worksheet was created for elementary school students at Beginner (pre-A1) and Upper-intermediate (B2) level. 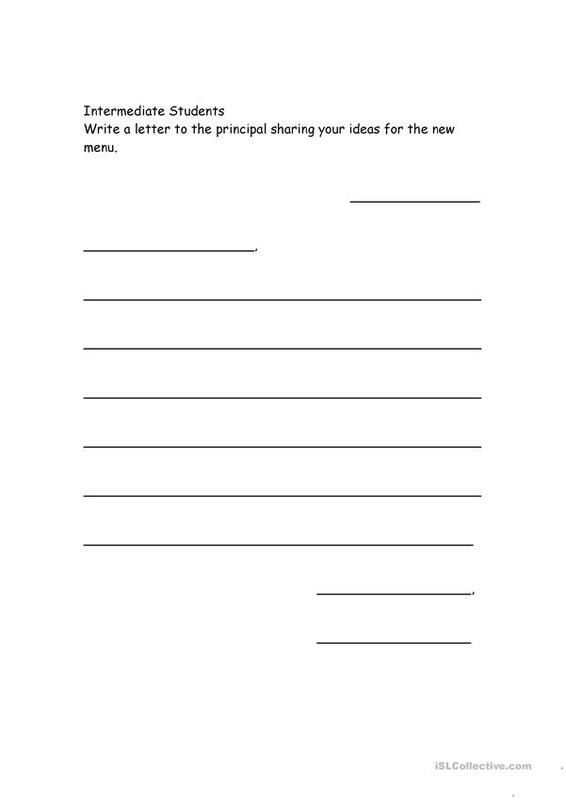 It is excellent for strengthening your pupils' Writing skills.